U.S. Spying Efforts Sometimes 'Reached Too Far,' Kerry Says : The Two-Way The secretary of state's comments are the sharpest to date from a top Obama aide. He also said, though, that "innocent people are not being abused" and that the intelligence gathered by the National Security Agency has prevented terrorist attacks. Some of the electronic surveillance programs of the National Security Agency have been on "automatic pilot" in recent years and have inappropriately "reached too far," Secretary of State John Kerry said Thursday. Kerry's comments are causing something of a stir. The Guardian says they're the "most stark" remarks so far by a senior Obama administration official about the ongoing revelations concerning the NSA's gathering of electronic data — which include reports of spying on some foreign leaders' cellphone calls. Secretary of State John Kerry. The Financial Times writes that Kerry's remarks came "as the Obama administration tried to damp down the scandal surrounding the National Security Agency." Kerry, who was in Washington, made his comments via video while taking part in a London panel discussion sponsored by the Open Government Partnership, an international organization that promotes transparency. The partnership has posted a video of the discussion here. Kerry's remarks about spying begin around the 47:00 mark. The secretary did not offer specifics about how or when the U.S. surveillance has gone too far. He added that "innocent people are not being abused in this process." And Kerry said information collected by U.S. intelligence agencies has "prevented airplanes from going down, buildings from being blown up [and] people from being assassinated." 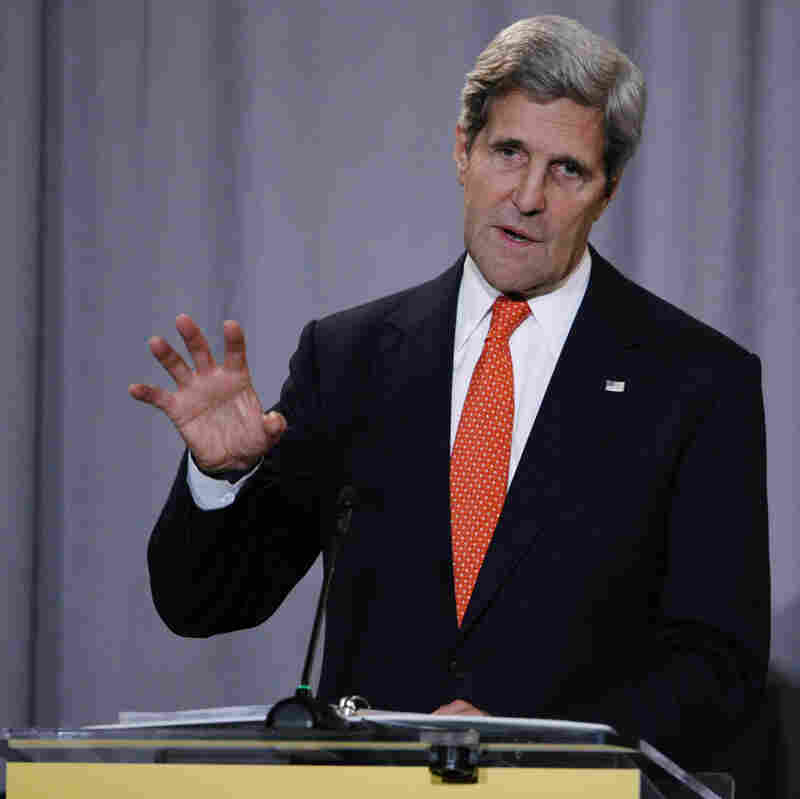 Kerry noted that the Obama administration is reviewing U.S. surveillance policies.